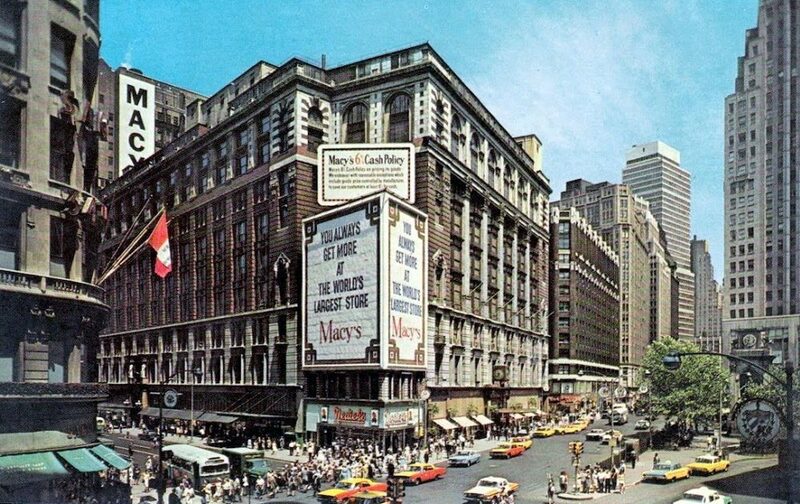 This is Macy’s in New York circa 1964. Here you’ll find everything a swinging bachelor needs, from swank furniture to the latest music. Just look at the crowd of people outside waiting to get in, or are they just trying to get a cab during rush hour?